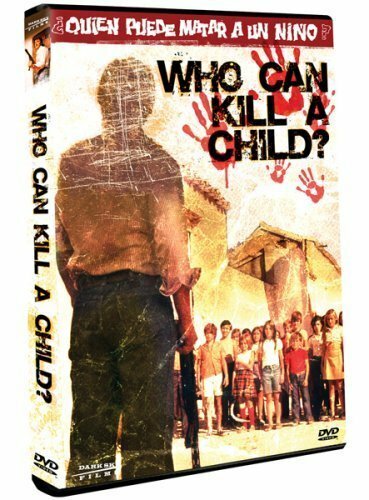 Directed by Narciso Ibanez Serrador, Who Can Kill A Child is based on the novel The Children's Game by Juan Jose Plans. Also released under the title Island of the Damned, the movie came out in 1976 and is just as unsettling now as it was 38 years ago. Beginning with a montage of documentary footage focusing on the effects of war on children, the movie is creepy straight out of the gate. As our main couple, Tom and Evelyn, travel before the birth of their third child, they come to an island that is strangely inhabited by only children. Well, there are a few adults, but they don't last long because these kids are homicidal maniacs. Seriously. Though the cause of the children's homicidal tendencies is never fully explained, it is hinted that general apathy from adults has caused this, but it can also be transmitted via eye contact to other children. So, while it is disturbing enough to imagine yourself surrounded by killer children, it's even more disturbing to wonder if you would be able to kill a child to save yourself. Kudos to all of the children in this movie. They are all legitimately creepy and they never break character. Often times, I find that you can see that faint childlike smile on most child actors despite how scary or terrifying they're trying to be, but these kids are proper creepy. The movie builds at an expert pace, slowly and methodically amping up the terror and suspense. 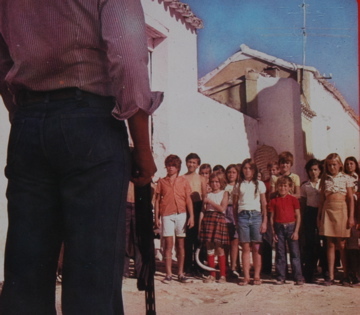 Recently, this film has been remade under the title Come Out and Play which was quite a bit more gory and fast paced. These two differences are exactly why it didn't work. It really is such a strange notion that children would have only sinister intentions towards you and it takes the viewer almost as long as it takes Tom and Evelyn to realize some serious action will need to be taken if they want to survive. And as always, the less you see, the more psychologically terrifying it is. It's what the movie doesn't show and what it gives you glimpses of that really get under your skin. Seeing a gang of children use an old man as a pinata, with a scythe for the bat, is nothing short of shocking and watching Evelyn, a soon to be mother of three, have to make a choice to kill a child is heart wrenching. This is one of those great horror films that successfully makes it's point without hitting you over the head and it also makes you question what you would do in the situation.